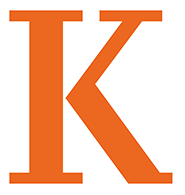 The Kalamazoo College Philosophy program offers an intensive, historically grounded BA program in philosophy oriented to the study of contemporary research. The Philosophy Department has a long tradition of preparing students to gain admission to, and succeed within, First-rate graduate programs. While the majors program offers comprehensive and rigorous training for Ph.D. programs in philosophy, the department also offers specialized curricular tracks for students preparing for post-Baccalaureate studies in Law, Linguistics, Political Science, Public Policy, Theology, Psychology, and Cognitive Science. While not all philosophy students pursue graduate studies, the majors program is structured to cultivate skills essential to living thoughtfully, working effectively, and playing passionately. The department is committed to a pluralistic approach to the discipline. The program offers courses in the Anglo-American and European-Continental traditions of philosophy, as well as courses devoted to the classical historical periods. More importantly, the program demands that students become familiar with, and carefully integrate, such different approaches to philosophy in order to engage in flexible and informed research into contemporary issues. Various courses within the department - in particular Senior Seminar - are specifically designed to demonstrate the commonalities, affinities, and mutual influences of the Anglo-American and European-Continental traditions. Most importantly, the program emphasizes that philosophy is a historically reflexive discipline committed to documenting its various learning stages. The department is also committed to an interdisciplinary approach to philosophical inquiry. Contemporary research in philosophy with any claim to credibility can no longer insulate itself from the empirical natural and social sciences. Accordingly, we closely advise our students to take courses outside the major as necessary complements to their work in philosophy. Moreover, the department offers formalized supplementary units of interdisciplinary instruction within philosophy courses - called "Bridge Readings" -- that establish connections to Psychology, Political Science, Sociology, Literary Studies, History, Theology, and Biology. The central objective of the program is to enable students to become independent thinkers (Objectives). Accordingly, the Junior and Senior years are directed to assisting students to complete rigorous, historically informed, original scholarship in the form of a "Senior Individualized Project." Students are asked to present their research at national conferences and to submit associated essays to scholarly competitions. Whenever possible, Honors students are installed in Teaching Assistantship positions in their areas of research specialization. The philosophy department comprehensive examinations are modeled on Masters program examinations, which prepares students to succeed in graduate programs. The Philosphy Department is located in the Humphrey House.